I'm Ann. Jesse has been my significant other for 12.5 years; we've been sharing an apartment since 2000. We met in college, when he was a sophomore and I was a freshman. We were each dating other people at the time, but within a year we'd ended our respective relationships. After a lot of friendly conversation that I guess one could call "flirting" and an exchange of mix tapes and M&Ms, I confessed my crush via email. I wasn't really surprised when he returned the sentiment. 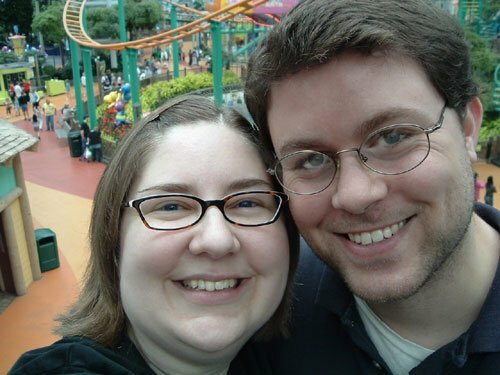 We've both gained weight over the years -- 80 pounds on my part -- but it hasn't mattered. We're both happy techie introverts who just really like hanging out with each other, and our relationship gets better every year. He's hilarious and smart and kind, and I'm pretty sure he likes me, too.